I’m baaack! After a crazy couple of months and trying to catch my breath, I’m back. You will be seeing some changes around here, refining content, more resources and how-tos, and more. Still finding my way around on this crazy but fun blogging journey. 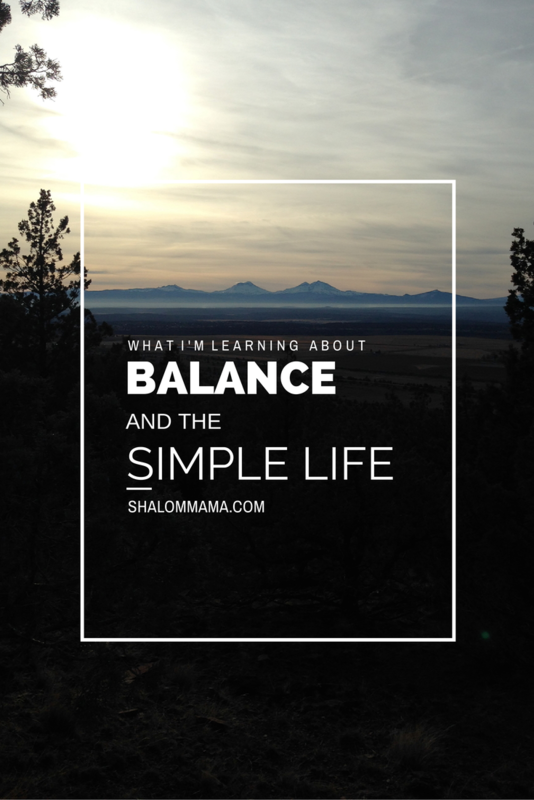 Here is a recent guest post I wrote for ShalomMama.com. Enjoy! There is a quote I found on Pinterest that caught my eye and apparently has struck a chord with a few others too. It is not uncommon for me to see notifications that is has been repinned 3-4 that day. It comes from Kelly Exeter over at TheSmileCollective and it is called, “A Manifesto For a Simple Life”. Eat less, move more. Buy less, make more. Stress less, laugh more. Feel blessed, love more. Find a quiet place each day and breathe. The idea of a simple life makes me think of living in the country or a small town, doing a good days work, then sitting on the porch with friends and family with lemonade and a gentle breeze blowing. Now don’t laugh! But that is what a simple life looks like in my head.